Thinking of spending a lazy holiday aboard a private yacht? Choose a yacht charter and enjoy a sailing holiday to exotic locales - Greece, BVI or the Bahamas. Other popular yacht charter destinations are the Greek Islands, Spain, Majorca and the Indian Ocean. Mega yacht charters are popular with corporate events, promotions and get-togethers. You can choose bareboats or motor yacht charters. What was once considered a vacation only for the very wealthy is now being considered by others too. Private yacht charters can cost anywhere from $1000 to $10,000 per week. Sail to some of the most beautiful waters of the world on a private yacht charter. You can experience all the amenities of a floating five-star resort aboard a luxury yacht charter. Yachting charter companies offer yachts in many shapes and sizes with a variety of price options. Each yacht charter comes with different accommodation plans, crew, yacht layouts and amenities. Yacht charters can take you to some of the most picturesque locales of the world - Caribbean, Mediterranean, Florida, BVI, Seychelles, South Pacific and Phuket. Yacht charter companies can organize your sailing vacation to make your holiday hassle free. All peripheral travel arrangements are also arranged. If you have enough nautical experience, you can probably charter the yacht yourself. Else you might need a crewed charter yacht. Decide on the size of boat you need. This is determined by the price and the number of persons aboard. You can pick up charter yachts for a lavish party, romantic cruise or corporate event. Choose a reliable yacht charter so that you are assured of professional advice. Ensure that your travel such as visas, flight timings and onshore arrangements are in place. Get references from people who have chartered a yacht before. Your sailing experience may also dictate what type of yacht charter you go for. Some destinations require you to be more confident at anchoring than others. The benefit of chartering a yacht from a large company is that they are more likely to have a newer fleet of boats and can fix any equipment failures. You can probably get features such as snorkel equipment, motor yachts, GPS and cabin heating. Smaller companies can often offer flexible dates and cheaper prices. Look up the season calendar before you chalk out your yacht charter plans. 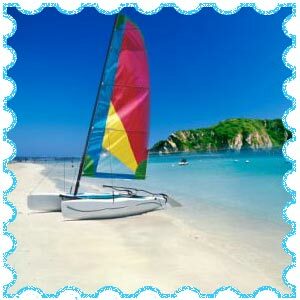 The sailing season in a destination will affect the price. The yacht charter price will vary, depending on the age and condition of the vessel. You should try to calculate a cost-per-guest for the charter week to help compare yachts with different guest capacities. A luxury charter yacht is probably one of the most stress-free conditions you can find. Sip your champagne in the luxurious ambience aboard a modern charter yacht, complete with all the modern amenities. No better way to enjoy a sail by beautiful islands and enjoy the romantic nightlife of many locales than to sail aboard a luxury charter yacht. You can avail fax, satellite and cellular phones and Internet access. Whether you are anchoring in a quiet bay in the Caribbean or docking in Monte Carlo to visit the famous casino, luxury yacht charters offer a truly unique and special way to see the world. You will find well-appointed bedrooms with a private study and walk-in shower and sunken bath. Laze on the sun deck with a spa pool with a swim-up bar and sunbathing mattresses to soak up the sun. Enjoy a barbecue on the deck aboard a luxury charter yacht as you watch the sun sink into the horizon. You can have your own private cinema facilities. Some of the most exotic luxury charter destinations include French Polynesia, the Seychelles, the Maldives, Thailand, the Amazon, the Galapagos, and the Great Barrier Reef. Florida yacht charter vacations can be planned for 7 - 8 days. You can cruise to remote destinations, visit Florida wildlife reserves and plan your own anchorage. Be it a family vacation, honeymoon or corporate holiday, Florida yacht charters can take you to barrier islands and destinations along the northeast coast of Florida - Jackonsville, Ponte Vedra, Palm Coast and Daytona Beach. Miami yacht charter offers many holiday options - jet skiing, scuba diving, snorkeling and swimming. Sail across to the 40 islands that make up the Florida Keys. You can find the only living-coral barrier reef in all of North America. 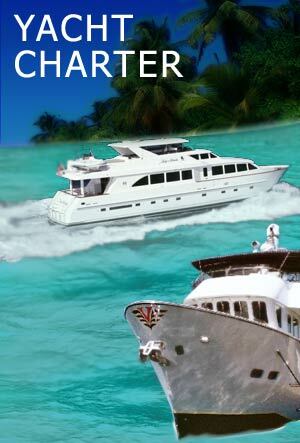 Take your Miami charter yacht for a wedding or corporate cruises. You can have a special wedding aboard a Miami yacht charter or go on a day cruise to the wonderful beaches. Pristine turquoise waters, volcanic and coral islands, excellent diving and snorkeling opportunities - Caribbean yacht charters are made of these! The Bahamas is a popular destination for charter yachts. With a collection of nearly 700 islands spread over 100,000 square miles, the Bahamas offer exotic beaches and shallow waters for a relaxed cruise. Most Bahamas yacht charters start at Nassau. Visit Waderick Wells to discover hidden treasures or enjoy a lazy lunch on the beach of Stocking Island. You can sail to Thunderball Cave on Staniel Cay and experience reed diving at Snow Bay on San Salvador. Private yacht charters are akin to exclusive, luxurious hotels that float in warm turquoise seas surrounded by crystal clear water and gorgeous scenery. The most popular yacht charter areas are the Caribbean (between Puerto Rico and Trinidad), the Bahamas, the Mediterranean (south of France, Sardinia, Corsica), Greece and New England. These areas offer a wide range of private yacht charters catering to all price ranges. Comparatively new destinations on most private yacht charters are the Sea of Cortes and the Galapagos, Alaska, Turkey, Thailand and Malaysia. Private yacht charters are costlier in the Mediterranean. Avail off-season discounts for a good price. You can pick up some wonderful bargain private yacht charters at an auction. What can a private yacht charter holiday offer? You can soak in the sun and pick up a tan, windsurf or scuba dive, laze around on the deck and visit nightclubs and go dancing. A chartered yacht through the British Virgin Islands (BVI) would make for a wonderful holiday. The clear waters would be ideal for snorkeling and diving. Combine your BVI yacht charter with diving with water sports, exciting sailing and gourmet dining and relaxed ambience. The yachts range in size, maximum number of charter guests and rates. Common to all of the yachts though is the ability to show the best of the Virgin Islands below and above the water! British Virgin Islands continue to remain amongst the most popular Caribbean vacation destinations, offering one of the finest sailing territories worldwide. You can choose to charter a yacht for day trips from Tortola to Virgin Gorda, Jost Van Dyke or Anegada or other nearby islands. While luxurious sailing yachts are better suited for a leisurely slow paced holiday, charter a motor yacht for a faster pace. Motor yachts tend to be more luxurious and spacious. Motor yachts are much like exclusive, luxurious, hotels that float in warm turquoise seas surrounded by crystal clear water and gorgeous scenery that changes daily. For large families, groups, wedding parties and corporate outings motor yachts can actually save you a lot of money compared with hotel resorts. Typically the popular motor yacht available for charter has a cruising speed ranging from 10 - 14 knots. Power motor yachts can take continuous speeds of over 20 knots. You can cruise from port to port and cover much distance on a short holiday. The price for motor yacht charters range from $150 a person per day to $1000 per person day, depending on the size and type of motor yacht you choose. Private motor yacht charters can be selected for a host of destinations, ranging from Greece, Turkey and the Virgin Islands to Fiji, Hawaii, Tahiti and Tonga on the Pacific Coast. Sail aboard a motor yacht charter on the Mediterranean or Atlantic coasts. Mega yacht charters would satisfy discerning elite travelers, with their fine hospitality, luxurious accommodation and exotic cuisine. Sail aboard a mega yacht charter to Greece, Caribbean or BVI and customize your itinerary. Mega yacht charters are ideal for corporate bashes or special events such as anniversaries or birthday parties. Dock your chartered mega yacht at swanky marinas and entertain onboard or explore the local climes. Mega yachts come equipped with scuba diving equipment and certified diving crew that helps family and friends have an underwater experience of a lifetime. Aboard a motor mega yacht, you can avail large staterooms and conference rooms for corporate meetings as well as evening bashes. 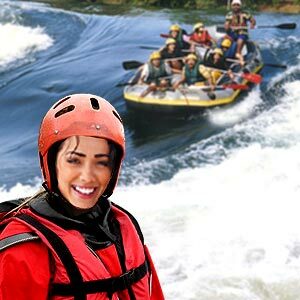 Have the time of your life with adventure sports facilities, fine cuisine and quiet luxury. Corporate yacht charters are ideal for wooing potential investors. The luxurious ambience of a corporate yacht charter makes for a fitting experience for business discussions and corporate moves. Give your employees a wonderful and relaxed holiday aboard a luxury corporate yacht. Lavish accommodations and comfortable ambience are the hallmark of corporate charter yachts. Typically a corporate yacht charter for about 250 - 450 passengers costs about $ 3250 for 4 hours. This does not include food, dockage, fuel and other running costs. Avail modern electronics and communication devices aboard a corporate yacht charter. You can get accurate weather logs and access to weather satellite systems. 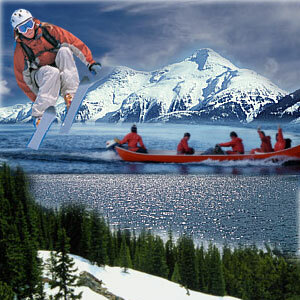 Sea kayaks and surfboards are available for the adventurous.